Intuition is everyone’s innate ability, though it is usually blocked or untapped. Tap your inner wisdom, the doorway to creativity. Learn tools to see intuitively and think clearly so you can be more calm and focused in stressful times. Relate to others from a more grounded state. Replenish your energy. Center your awareness. Define your personal space. Set healthy boundaries. Clear away blocks that keep you from living the life you desire. Learn the Intuitive Meditation™ technique which is easy and practical. This course is invaluable for any psychotherapist. Anne Salisbury and Greg Meyerhoff are practicing intuitive counselors (clairvoyants) with many years of experience in teaching these tools. These tools are life-changing. They were developed for the clairvoyant training program by Lewis Bostwick, founder of the Berkeley Psychic Institute, and have been taught worldwide since the 1970’s. 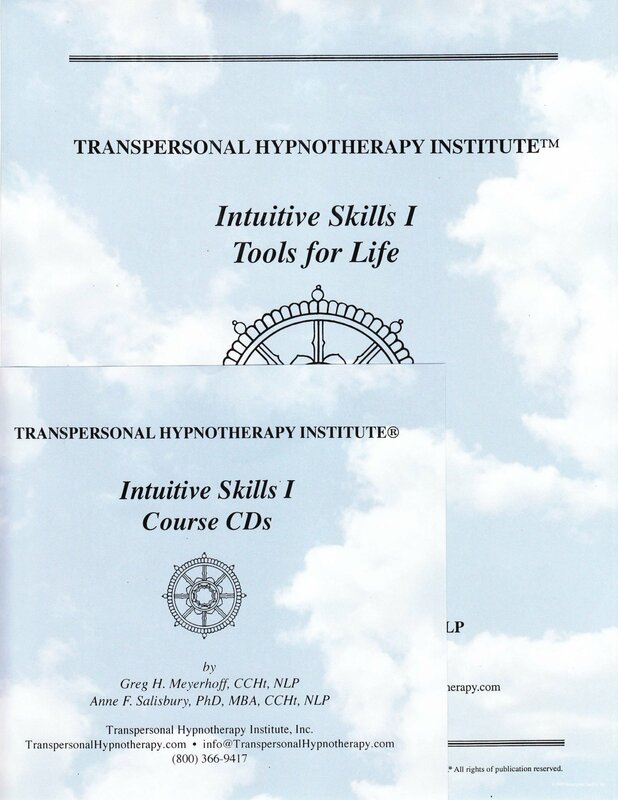 The “Intuitive Skills 1 Workbook.” Follow along in the workbook as you listen to the CDs. The “Intuitive Skills 1” certificate of completion suitable for framing. “Everyone should learn these intuitive skills. These techniques are so important. They should be taught at every elementary and high school in the country. These courses should be mandatory for everyone!